A second round of Arts Internship Awards is now open for application from students whose internships were confirmed after the March 11, 2019 deadline. This application round is not open to students who applied during the first round of Faculty of Arts Internship Awards. Follow this link to apply to the Arts Internship Award, this link to learn more about the Pre-Departure Session, and follow this link to register. Please note: Students who have opted out of ASEF are not eligible to apply. Please indicate on your application. All students who are travelling outside North America for internships must register and attend the mandatory Pre-Departure Orientation which will be taking place on April 11, 2019, in Leacock room 132, from 5:00 to 8:00 pm. Deadline to apply: April 21st, 2019, 11:59 pm. The Arts Student Employment Fund (ASEF) Award was established by the Arts Undergraduate Society (AUS) and the Arts Student Employment Fund (ASEF) to help students gain practical experience through an internship in their relevant field of study. Administered through the Dean’s Office in conjunction with the Faculty of Arts Internship Office, this Award is designed to provide partial funding to assist students with travel and other expenses related to their internship. The Allan A. Hodgson Arts Internship Award was established by Allan A. Hodgson (BA’58) to help students enrolled in the Summer Internship Program in the Faculty of Arts gain firsthand understanding of the global community, and of issues pertaining to international development. Administered through the Dean’s Office in conjunction with the Faculty of Arts Internship Office, this award is designed to lend financial support to students, who wish to pursue an internship in the field of international development. The award is meant to provide partial funding to assist students with travel and other expenses related to their internship. Students must have a demonstrated interest in the area of international development and propose an internship with a host organization actively engaged in this field. Relevant topics include, but are not limited to, microfinance projects, education, environmental sustainability, medical services, community development and legal aid. The Andre King Wi Tan Externship Award was established by Dr. Andre King Wi Tan to help support one or more undergraduate students participating in an internship conducted through the Faculty of Arts Internship Program. 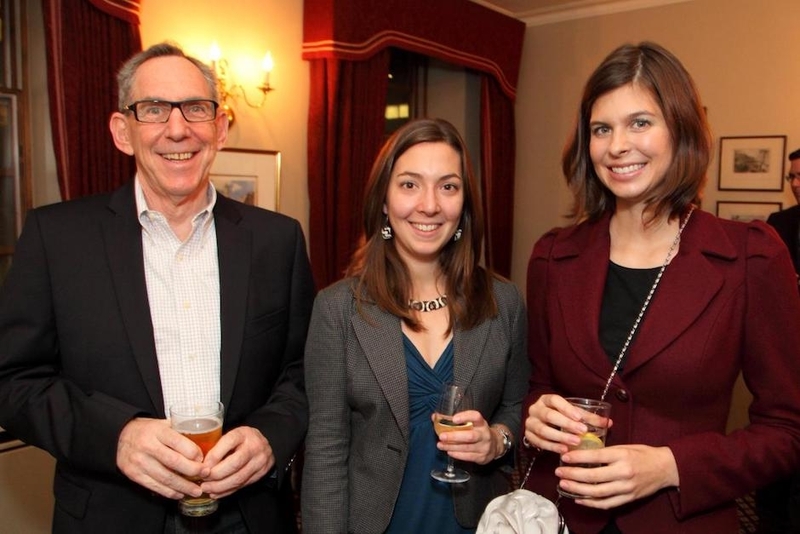 The Andrew Buntain Arts Internship Awards were established in 2011 by Andrew Buntain (BA'95) to help support one or more undergraduate students participating in an internship conducted through the Faculty of Arts Internship Program. Preference is given to Canadian students. 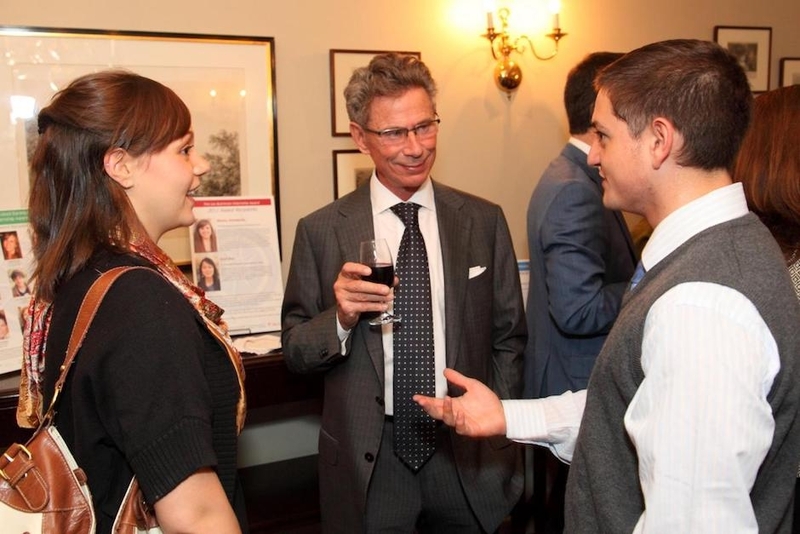 The Armando & Ann Manfredi Arts Internship Award was established in 2017 through the generosity of colleagues, alumni, and friends in honour of Professor Christopher Manfredi, former Dean of the Faculty of Arts and current Provost and Vice Principal Academic of McGill University, in memory of his parents Ann and Armando Manfredi. Internship experiences enrich students’ lives and, in some cases, change the course of their academic pursuits and future careers. By studying and working with NGOs and organizations around the world, they gain exposure to different languages and new ways of thinking, helping them become better global citizens. Through these encounters, they broaden their understanding of the world and hone their interdisciplinary skills - core proficiencies for successful careers. Please note that students who have opted out of the ASEF fee are not eligible to apply. The Arts Undergraduate Improvement Fund (AUIF) Internship Award was established by the Arts Undergraduate Society (AUS) and the Arts Undergraduate Improvement Fund (AUIF) to help students gain practical experience through an internship in their relevant field of study. Administered through the Dean’s Office in conjunction with the Faculty of Arts Internship Office, this Award is designed to provide partial funding to assist students with travel and other expenses related to their internship. Please note that students who have opted out of AUIF fee are not eligible to apply. 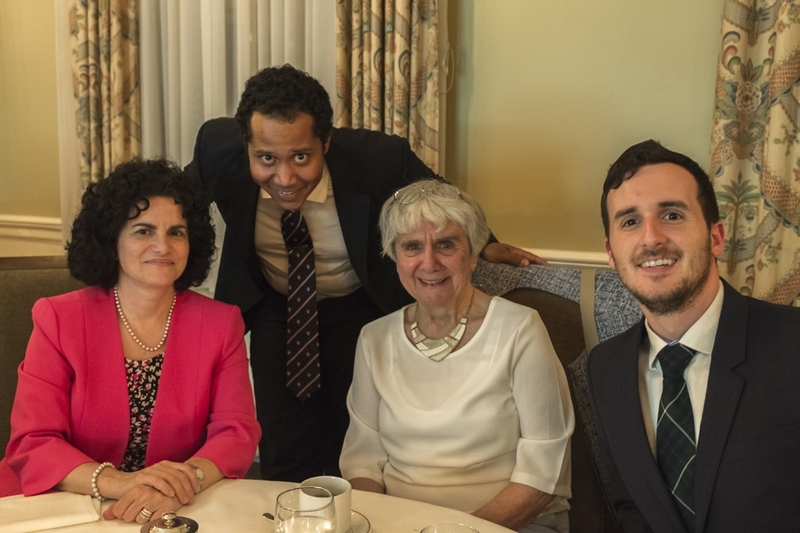 The Barbara & Patrick Keenan Undergraduate Internship Award for Interfaith Studies was established in 2012 by Barbara Keenan (BA'54) and Patrick Keenan (BCom'54, CA'57). It is awarded by the School of Religious Studies to undergraduate students participating in an internship broadly related to interfaith studies in an international setting, allowing first-hand experience of religious cultures in a global context. The host organization can be a religious NGO or any other institution active on the interfaith field. Organizations promoting proselytization are excluded. The Award is meant to provide partial funding to assist students with travel and other expenses related to their internship. It is open to McGill undergraduate students in all faculties who have completed at least two courses in religious studies. Students must be returning to McGill the semester following the internship. Internships typically take place between May and September. The Brenda and Morrison Hurley Arts Internship Award was established by Dr. Robert Morrison (MSc'68) and Brenda Hurley to help students gain firsthand experience related to their fields of study. Administered through the Dean’s Office in conjunction with the Faculty of Arts Internship Office, this award is meant to provide partial funding to assist students with travel and other expenses related to their internship. This award is part of the McGill International Experience Awards. For more information, click here. 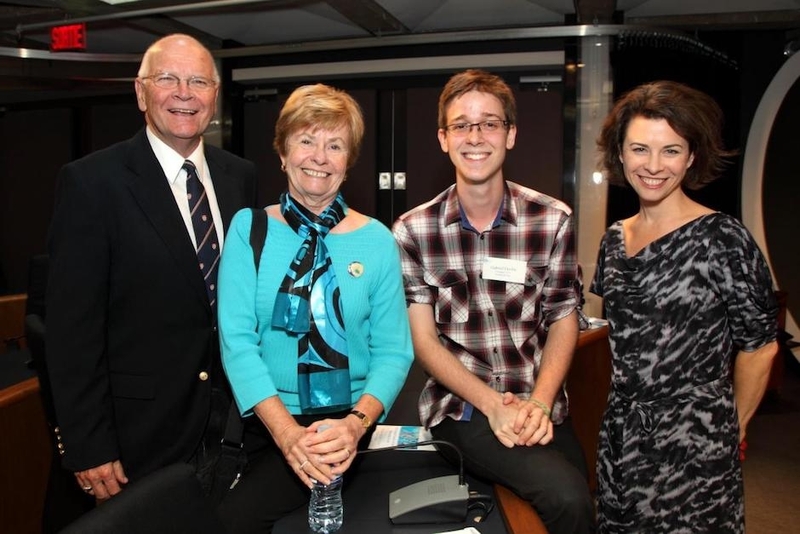 The Bryce Internship Award was established in 2011 by Mary K. Wemp (BA'68) in honour of her grandson, Bryce Davidson Purves-Mitchell, to help support one or more undergraduate students participating in an internship conducted through the Faculty of Arts Internship Program. The Carol & Lloyd Darlington Arts Internship Award was established by Lloyd Darlington (BA'67) to help undergraduate students enrolled in the Summer Internship Program in the Faculty of Arts through an internship with the purpose of improving the economic or social welfare of the poor in a developing country. Preference will be given to students in an internship associated with the use of more innovative or creative approaches to the improvement of economic or social welfare. Administered through the Dean's Office in conjunction with the Faculty of Arts Internship Office, this award is meant to provide partial funding to assist students with travel and other expenses related to their internship. The Chris Tyler Marckmann International Social Work Summer Internship Awards were established in 2014 by Bill Mooney (BA'91) and Brandee Marckmann to help one or more undergraduate students in the School of Social Work gain firsthand international experience related to their fields of study by providing partial funding to assist with travel and other expenses related to their internship. The award is administered through the Dean's Office in conjunction with the Faculty of Arts Internship Office. This award is part of the McGill International Experience Awards. For more information, click here. The David Tarr & Gisele Chevrefils Arts Internship Award was established by David Tarr (BA’61) to help students gain firsthand experience related to their fields of study. Administered through the Dean’s Office in conjunction with the Faculty of Arts Internship Office, this Award is designed to lend financial support to students pursuing internships, particularly with community-based initiatives in the fields of education, sustainable development, community development and government accountability. The Award is meant to provide partial funding to assist students with travel and other expenses related to their internship. Students must have a demonstrated interest in community-based initiatives in the fields of education, sustainable development, community development or government accountability, and propose an internship with a host organization actively engaged in this field. Preference will be given to students with a demonstrated sense of initiative whose past and future activities embody community-based initiatives. 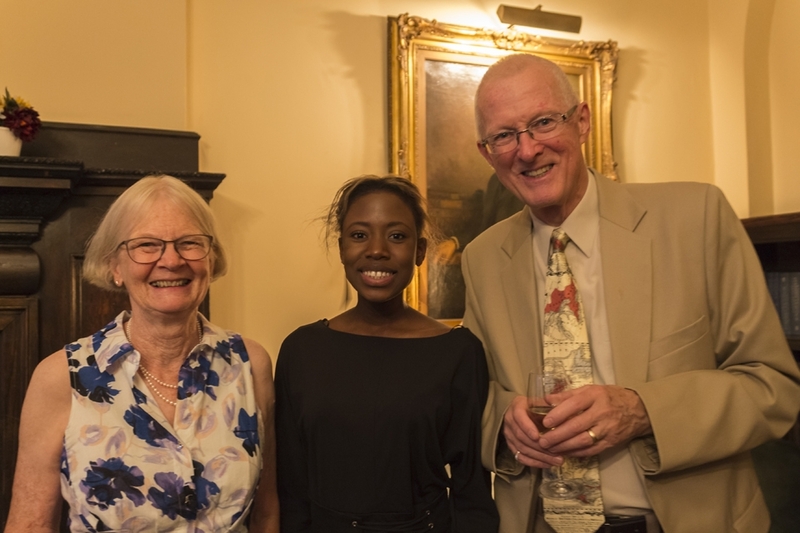 The Davies Family Arts International Internship Award was established in 2013 by Patricia Davies (BA'42) and her family to help support one or more undergraduate students to gain firsthand international experience related to their fields of study. Administered through the Dean's Office in conjunction with the Faculty of Arts Internship Office, this award is meant to provide partial funding to assist students with travel and other expenses related to their internship. This award is part of the McGill International Experience Awards. For more information, click here. The Eva & Myron Echenberg Arts Internship Award was established by retired Professor of History at McGill Myron Echenberg (BA'62, MA'64) and his wife Eva to help students gain firsthand practical experience through an internship working in international development initiatives. Established in 2010 by Dean Christopher P. Manfredi, the Faculty of Arts Internship Award was created to help students gain practical experience through internships in their relevant fields of study. Administered through the Dean’s Office in conjunction with the Faculty of Arts Internship Office, this award is designed to provide partial funding to assist students with travel and other expenses related to their internship. The Gail Elizabeth Todgham Arts Internship Awards were established in 2010 by Gail Todgham (BA’67) to help undergraduate students enrolled in the Arts Internship Program in the Faculty of Arts through an internship conducted in a museum, gallery, or an area related to the visual arts. The Gregg Blachford and David McGillivray Internship Award, established in 2014 by Gregg Blachford (former director of the McGill Career Planning Service - CaPS) and husband, David McGillivray (former Pediatric Emergency Medicine Physician/Associate Professor at the Montreal Children's Hospital), is designed to lend financial support to Arts students who wish to pursue an internship in a local, national or international organization that promotes social justice/human rights in the areas of gender and sexuality. Administered through the Dean's Office in conjunction with the Faculty of Arts Internship Office and in consultation with the Institute for Gender, Sexuality, and Feminist Studies, this award is meant to provide partial funding to assist students with travel and other expenses related to their internship. The Hinda Ordower King Awards of Merit were established by Richard, Joel, and Norman King and their families to honour the memory of their loving stepmother, Hinda (BA'47, BSW'48, MSW'53, PhD'84) and help deserving Quebec, Israeli, and Canadian students participating in a McGill School of Social Work international field placement. The Hon. Paul & Yvonne Casey Arts Internship Award was established in 2010 by George Garvin Brown (BA’91) in honor of his grandfather, the Hon. Paul Charles Casey, a graduate of McGill University (Law'28), and grandmother, Mrs. Yvonne Casey. Judge Casey served as Quebec Appeals Judge from 1946 to 1979. This award was established to help support a student in the Faculty Internship Program through an internship related to democracy, institution building, the judiciary, or government. Preference will be given to a student pursuing a major in Political Science or History. Administered through the Dean’s Office in conjunction with the Faculty of Arts Internship Office, this Award is meant to provide partial funding to assist students with travel and other expenses related to their internship. Students must have a demonstrated interest in the area of democracy, institution building, the judiciary, or government and propose an internship with a host organization actively engaged in this field. The Ithaca Arts Internship Award was established in 2008 by France Bellisle, to help support one student participating in an internship outside of North America. La Bourse Ithaque pour les Stages en Arts a été établie en 2008 par France Bellisle. Cette bourse est accordée à un(e) étudiant(e) qui effectuera un stage à l'extérieur de l'Amérique du Nord. 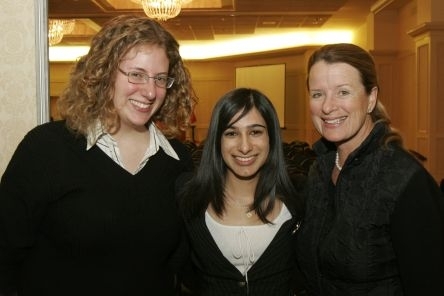 The Jennifer Ritter Internship Award was established in 2015 by Dr. Alan Ritter and Jennifer Ellen Nozick (BA'95) to support one or more undergraduate students in the Faculty of Arts participating in an Arts Internship or an Arts Research Internship conducted through the Faculty of Arts Internship Program. Awarded by the Faculty of Arts Internship Office upon recommendation of the Awards Administrator. Preference will be given to students in Psychology. 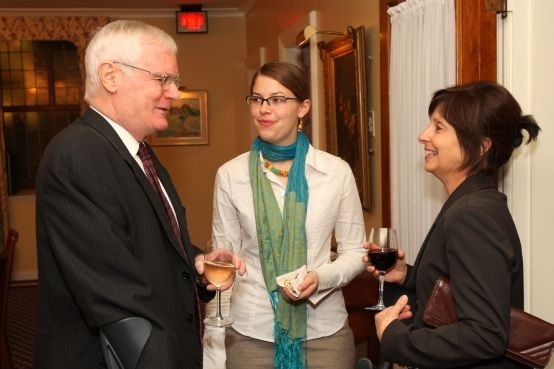 Established in 2014 by John Wasileski (BA'75) to support one or more undergraduate students in the Faculty of Arts, the John Wasileski Arts Externship Awards provide current students the opportunity to gain exposure to and better understand the professional world while contributing to their host organization. The program helps students develop new skills, gain valuable experience, network in the business environment, and learn more about professional and entrepreneurial opportunities. The student’s role is to contribute to the host organization by undertaking a wide variety of tasks, sharing ideas, and working with employees in various functions. The awards are administered through the Dean’s Office in conjunction with the Faculty of Arts Internship Office by providing partial funding to assist with travel and other expenses related to their externship. This award is part of the McGill International Experience Awards. For more information, click here. The Joseph Issid Travel Award was established in 2017 by family, friends and colleagues in loving memory of Joseph Issid, BA’98 and Associate Director, Digital Communications at McGill University Advancement from 2014-2017. To be awarded to one or more undergraduate or graduate students in the Faculty of Arts who are in need of assistance in reducing travel and accommodation expenses to participate in an internship activity. Awarded by the Faculty of Arts. Value: Varies. The Judy Patton Hamilton Arts Internship Awards were established in 2011 by Judy Hamilton (BA'54) to help support one or more undergraduate students participating in an internship conducted through the Faculty of Arts Internship Program. 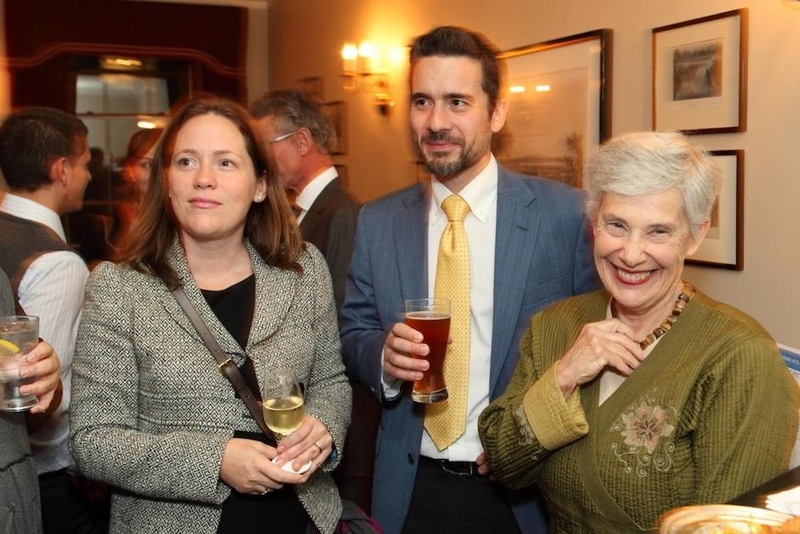 The Kostman Family Internship Award in Arts was established in 2012 by Henrietta Kostman (BA'39) to support one or more undergraduate or graduate students in the Faculty of Arts, to gain a practical and hands-on experience related to their fields of study through an internship in Israel. Administered through the Dean's Office in conjunction with the Faculty of Arts Internship Office, this award is meant to provide partial funding to assist students with travel and other expenses related to their internship. Preference will be given to students enrolled in the School of Social Work. The Lev Bukhman Internship Award was established by Lev Bukhman (BA’93) to help students enrolled in the Faculty of Arts Internship Program gain practical and hands-on experience in the field of microfinance, governance, or self-sustainability. Administered through the Dean’s Office in conjunction with the Faculty of Arts Internship Office, this award is meant to provide partial funding to assist students with travel and other expenses related to their internship. Students must have a demonstrated interest in the area of microfinance, governance or self-sustainability and propose an internship with a host organization actively engaged in this field. 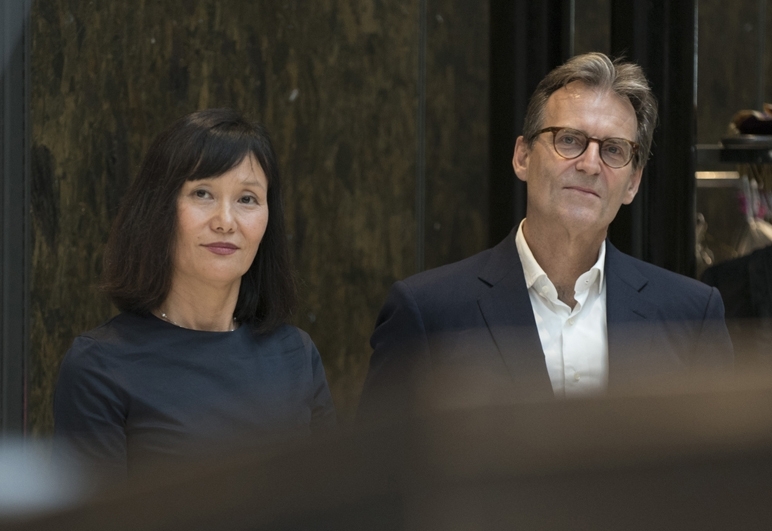 The Liz Gomery & Stefan Fews Internship Award in Arts was established by Elizabeth Gomery (BA’98, BCL/LLB'03) and Stefan Fews (BA'96, BCL/LLB'00) to help students gain firsthand experience related to their fields of study. Administered through the Dean’s Office in conjunction with the Faculty of Arts Internship Office, this award is designed to lend financial support to students pursuing internships. Preference will be given to any undergraduate student undertaking an internship in an area related to poverty reduction (e.g. educating women, environmental issues, and so forth). The award is meant to provide partial funding to assist students with travel and other expenses related to their internship. The Martine Vanasse International Experience Internship Award was established for one or more undergraduate students in the Faculty of Arts participating in an international internship outside of North America conducted through the Faculty of Arts Internship Office. Awarded by the Faculty of Arts Internship Office to defray travel and accommodation expenses related to the internship. 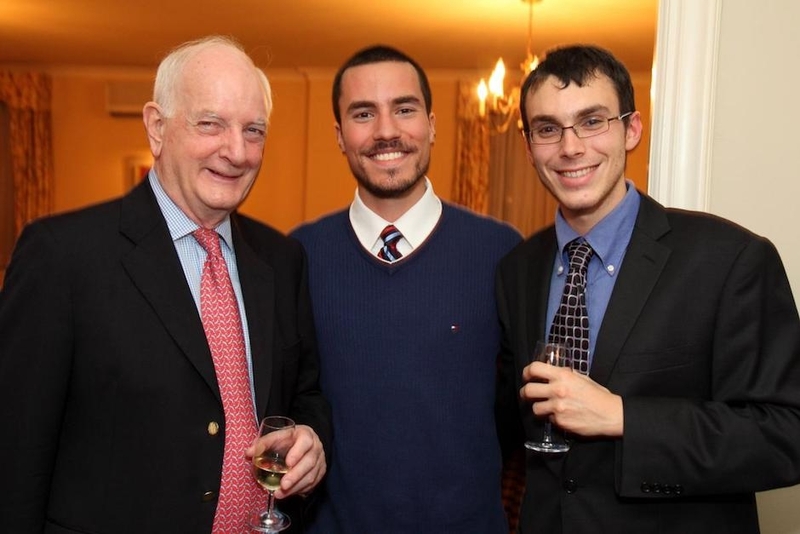 The Max Stern Internship in Art History Award was established by Dr. Max Stern’s estate to help Art History undergraduate and graduate students gain first hand experience through an internship. Administered through the Dean’s Office in conjunction with the Faculty of Arts Internship Office, this award is designed to lend financial support to students who wish to pursue an internship in the field of Art and Art History. The award is meant to provide partial funding to assist students with travel and other expenses related to their internship and to assist students in their pursuit of study in the area closest to Mr. Stern’s heart - Art and Art History. Max Stern, O.C. (1903-1987) was an art historian and collector. In 1947, he bought the Dominion Gallery on Sherbrooke Street in Montreal and made it a focal point for the dissemination of “living art” and the promotion of Canada’s modern artists. The Dominion Gallery became one of the most vital and influential art galleries in the country, and remained open for over a decade after his death. The McDonald Currie Fund for International Management and Development Internship Award was established in 2012 by George Currie (BEng'51) to provide financial assistance to students in the Desautels Faculty of Management who are undertaking an international internship as the experiential learning component of their Major in International Management studies and students in the Faculty of Arts undertaking an unpaid internship. The Award is meant to provide partial funding to assist students with travel and other expenses related to their internship. The Richard B. Levy Arts Internship Travel Award was established in 2016 by Richard B. Levy (BA'89) to support one or more undergraduate students in the Faculty of Arts participating in an Arts Internship or an Arts Research Internship conducted through the Faculty of Arts Internship Program with travel and other related expenses. It is awarded by the Faculty of Arts Internship Office. Preference will be given to students working with the United Nations Children’s Fund (UNICEF) in New York City. 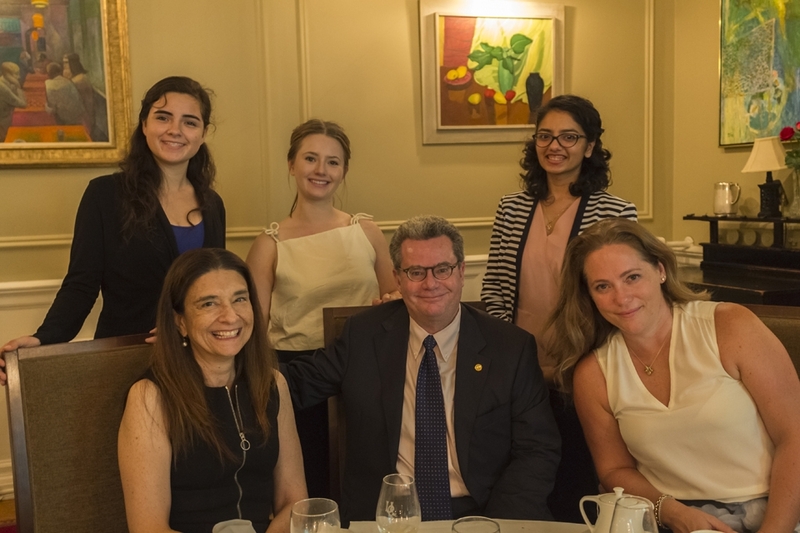 The Roland Arts Summer Internship Award was established by the family of David Roland (BA’91) to help students gain practical experience through an internship related to international development and/or the advancement of social causes. Administered through the Dean’s Office in conjunction with the Faculty of Arts Internship Office, this Award was designed to provide partial funding to assist students with travel and other expenses related to their internship. Students must have a demonstrated interest in international development and/or the advancement of social causes, and propose an internship with a host organization actively engaged in this field. Preference will be given to students with a demonstrated sense of initiative whose past and future activities embody international development and the advancement of social causes. 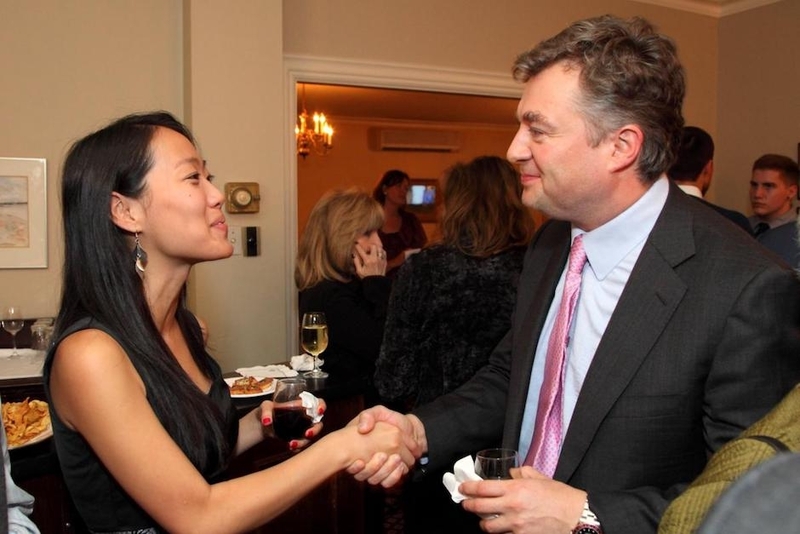 The Schull Yang International Experience Award, supported by Joseph Schull (BA ‘82, MA ’85) and Anna Yang (BCL, LLB ’88), helps undergraduate and graduate students gain first hand international experience related to their fields of study. The award provides full or partial funding to assist students with tuition, travel, and other expenses related to their international experience. The Schull Yang International Experience Award is part of the McGill International Experience Awards. For more information, click here. The Scott & Kristi Daniels Arts Internship Award was established by Scott Daniels (BA’93) to help students gain firsthand experience related to their field of study. Preference will be given to students undertaking an internship in the field of economics. Administered through the Dean’s Office in conjunction with the Faculty of Arts Internship Office, this award is meant to provide partial funding to assist students with travel and other expenses related to their internship. The Susan Casey Brown Fund for McGill was established by Garvin Brown (BA'91) in honour of his mother, Susan Casey Brown.Administered through the Dean’s Office in conjunction with the Faculty of Arts Internship Office, this award is meant to provide partial funding to assist students with travel and other expenses related to their international internship. This award is part of the McGill International Experience Awards. For more information, click here. The Tania Zouikin Arts Internship Award in International Development was established by Tania Zouikin (BA’72) to help students gain firsthand understanding of the global community, and of issues pertaining to international development. Administered through the Dean’s Office in conjunction with the Faculty of Arts Internship Office, this award is designed to lend financial support to students who wish to pursue an internship with an organization in the field of international development. The award is meant to provide partial funding to assist students with travel and other expenses related to their internship. Students must have a demonstrated interest in the area of international development and propose an internship with a host organization actively engaged in this field. Relevant fields include, but are not limited to, women’s projects, education, environmental sustainability, medical services, community development, and legal aid. Preference will be given to female students. 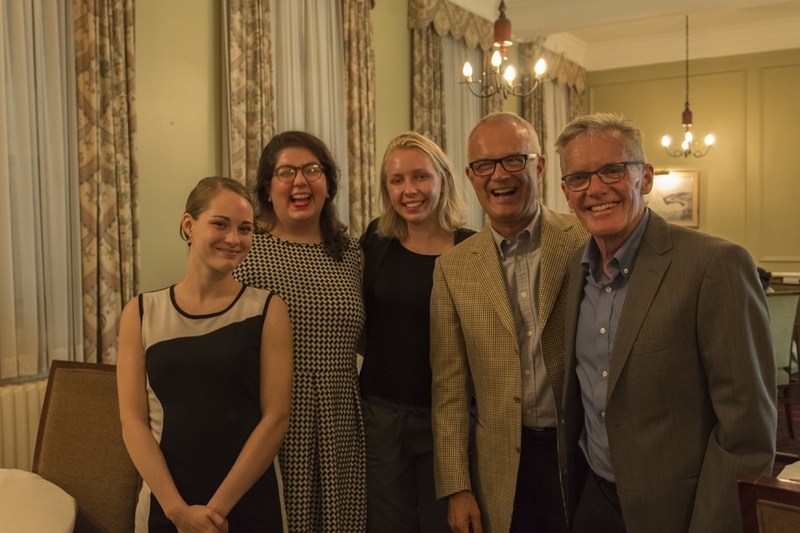 The Toten Family Arts Internship Award was established in 2012 by Kenneth Toten (BA'72) to help support one or more undergraduate students participating in an internship conducted through the Faculty of Arts Internship Program. Administered through the Dean's Office in conjunction with the Faculty of Arts Internship Office, this award is meant to provide partial funding to assist students with travel other expenses related to their internship. 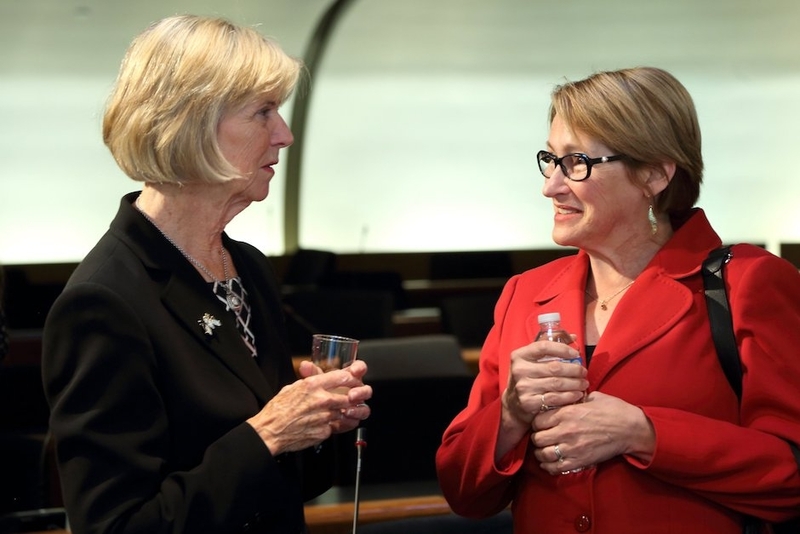 The Wendy Patton Keys Arts Internship Award was established in 2017 by Wendy Patton Keys, BA 1964, to help students gain firsthand experience related to their fields of study. For two students in the Faculty of Arts participating in an internship conducted through the Faculty of Arts Internship Program. Awarded by the Faculty of Arts Internship Office to defray travel and accommodation expenses related to the internship. Preference will be given to students participating in internships related to international development, human rights, relief and/or community-based initiatives. The William Henry Kelly Social Work Summer Internship Awards were established in 2011 by Bill Mooney (BA’91) to help one or more School of Social Work undergraduate students enrolled in any of the internships in the Arts Internship Program in the Faculty of Arts to strengthen their skills and assist social service agencies supporting the needs of children and youth at risk. Preference will be given to students intending to undertake such work in the Province of Prince Edward Island. 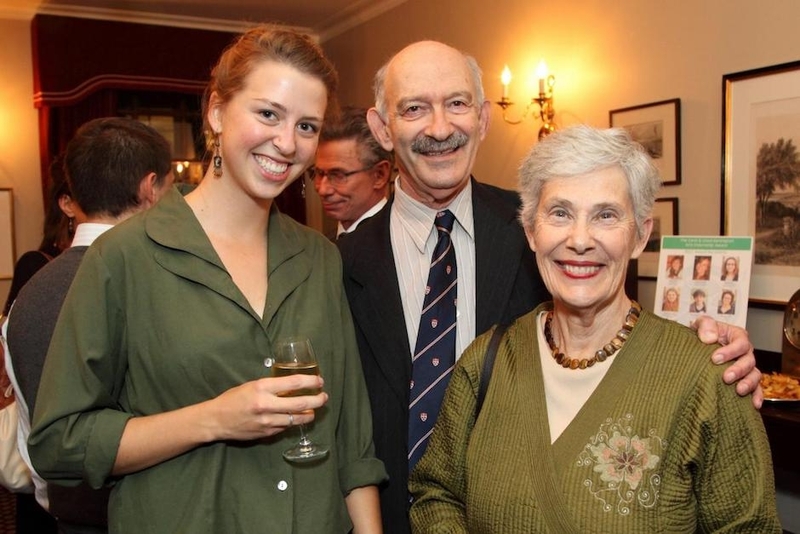 The Willie and Libby Zimmering Arts Internship Award was established in 2015 by Suzann Zimmering (BA'69, DipEd'70), Lawrence Joel Zimmering (BSc'72), and Minda Judith Zimmering (BCom'82) in honour of their parents, Willie and Libby Zimmering. 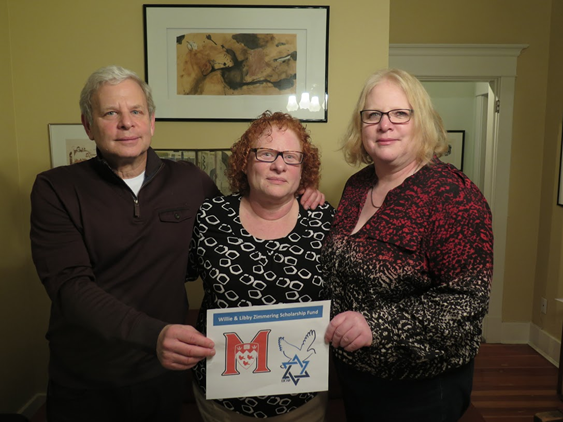 The Award supports students working in the tradition of the Hebrew notion of Tikkun Olam; Healing the world, focusing on activities that further understanding and peace in the Middle East. The Willie and Libby Zimmering Arts Internship Award supports one or more students participating in an internship conducted through the Faculty of Arts Internship Program. The internship may take place in Canada or internationally. Preference will be given to students in the INTERNATIONAL COMMUNITY ACTION NETWORK (ICAN) International Master in Social Work Fellowship Program. Administered through the Dean's Office in conjunction with the Faculty of Arts Internship Office, this award is meant to provide partial funding to assist students with travel and other expenses related to their internship.